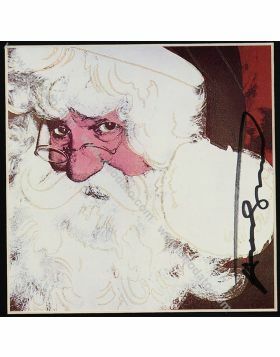 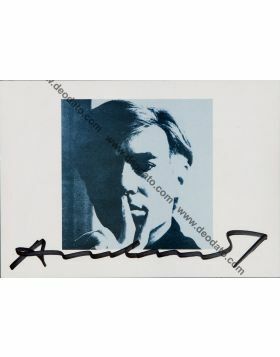 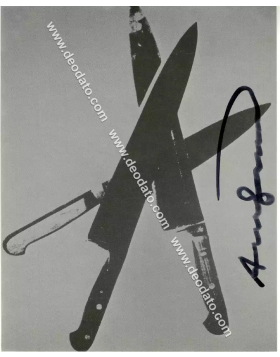 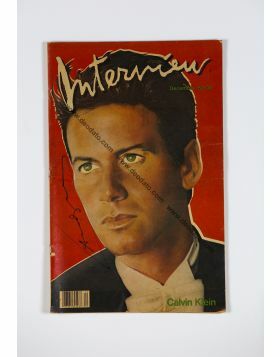 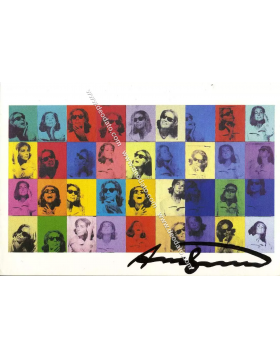 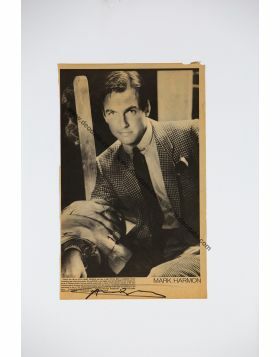 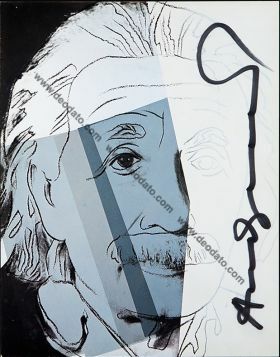 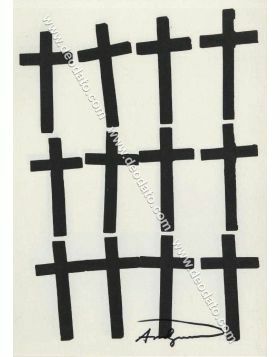 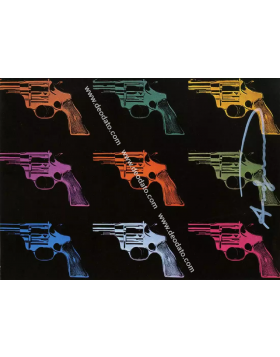 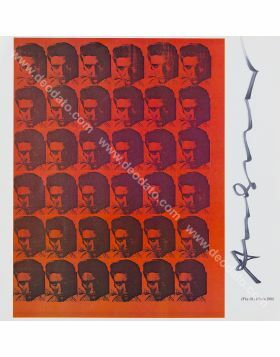 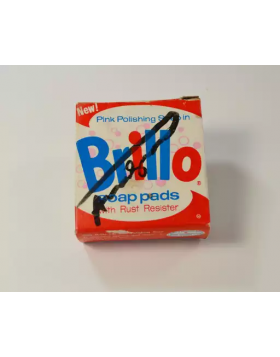 Beautiful postcard signed in black marker by Andy Warhol. 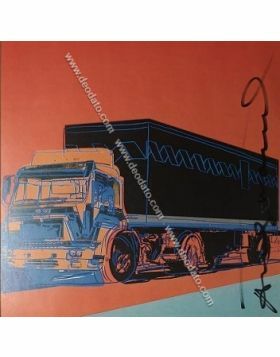 The work is dedicated to the trucks portfolio realized in 1985 and published in the catalogue raisonne on page 151. 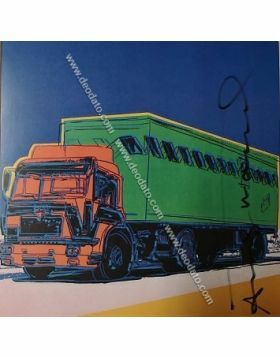 The subject is a grey truck because the portfolio was created to commemorate the 20th World Congress of the International Road Transportation Union. 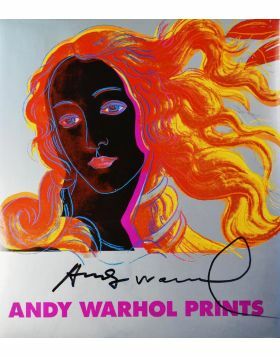 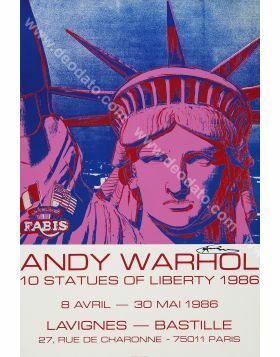 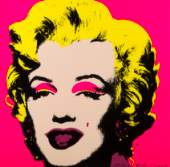 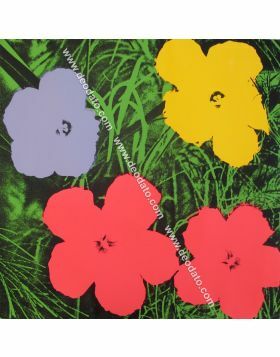 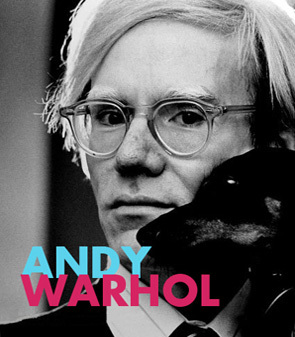 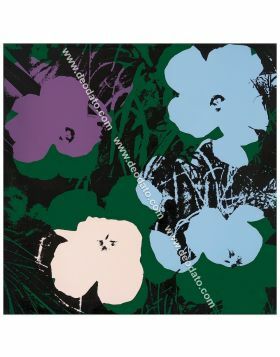 In these beautiful works you can observe all the Warhol's technique in using multiple layers of saturated colors. 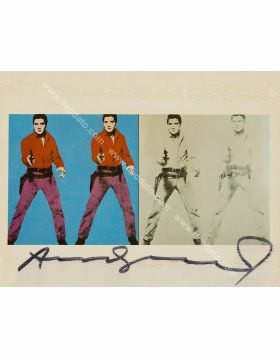 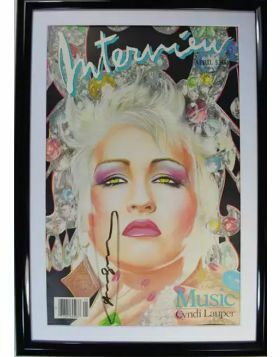 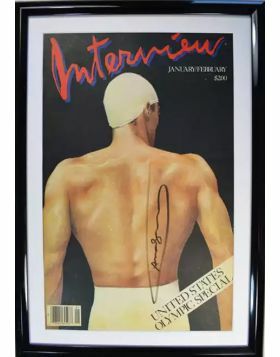 The work is framed with museum glass and it is provided with the certificate of authenticity.